Our 3 in 1 Digital Video Recorders easy will help you combine AHD CCTV solution and IP CCTV solution, just need chose right mode: Analog (AHD DVR mode), IP (NVR mode) or Analog with IP mode. 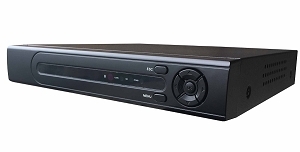 Our Digital Video Recorders can be connected to HDD up to 6TB and can be manage by Internet browser or locally from DVR directly. Can be managed by mobile phone.